These robust laser scanning sensors are an efficient, attractively priced solution for industrial inspection applications that require three-dimensional imaging. Thanks to the on-board pre-processing of the raw image data, the Automation Technology C4 3D cameras offer previously unattainable frame rates for inspection, measurement and sorting in the third dimension. Depending on the model, the C4 high-speed cameras deliver more than 104 million 3D points per second with a resolution of 1280 x 1024 pixels. One special feature of these C4 cameras is the smart camera architecture, which offers an image memory capacity of up to 1Gb for customized image processing. Data is exchanged via a Gigabit Ethernet interface which complies with the GigE Vision standard, thus making integration considerably easier for users. With the plug and play GenCam protocol, configuration is quick and simple. 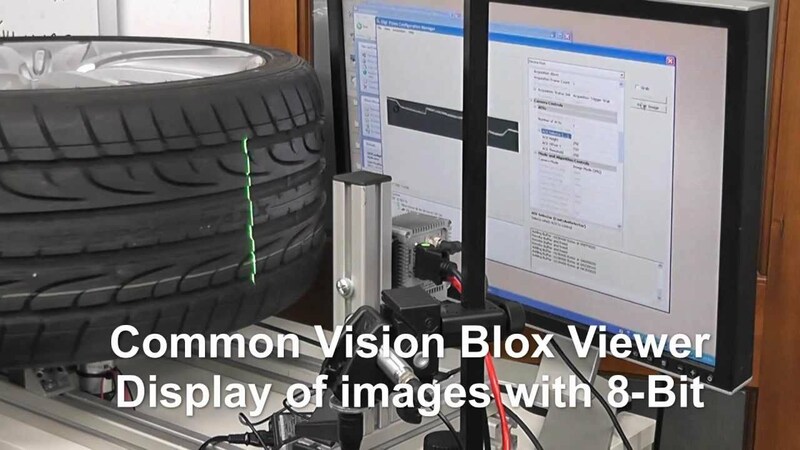 This GigE variant camera is fully optimised for use with the Common Vision Blox GenCam drivers, allowing the sensor to be fully controlled from any CVB based application. It achieves this without the use of camera-specific libraries which would compromise its hardware independence. Like all GigE Vision cameras supplied by STEMMER IMAGING, each AT C4 camera also includes a free CVB CameraSuite MultiOS licence.